2/9/2014 – Cafes have been very scarce in the north, until recently a new slew of cafes started to open up there. 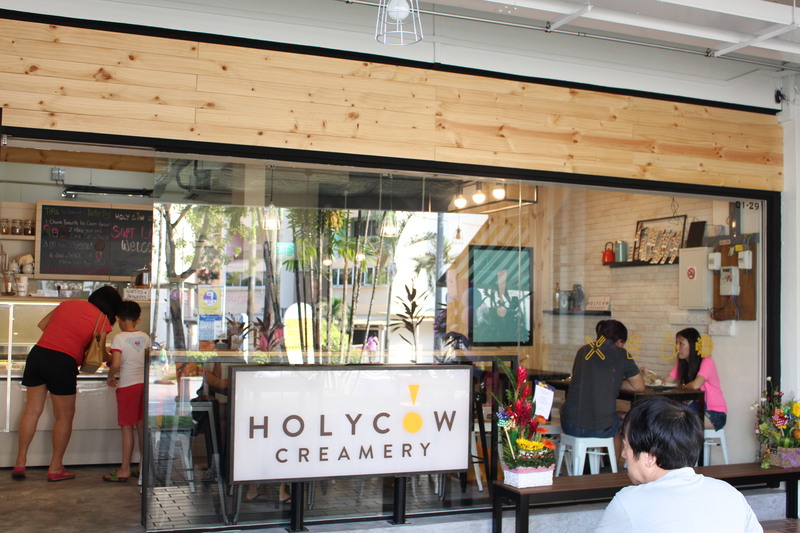 Holy Cow Creamery is one of such that has recently open in Yishun. The menu. 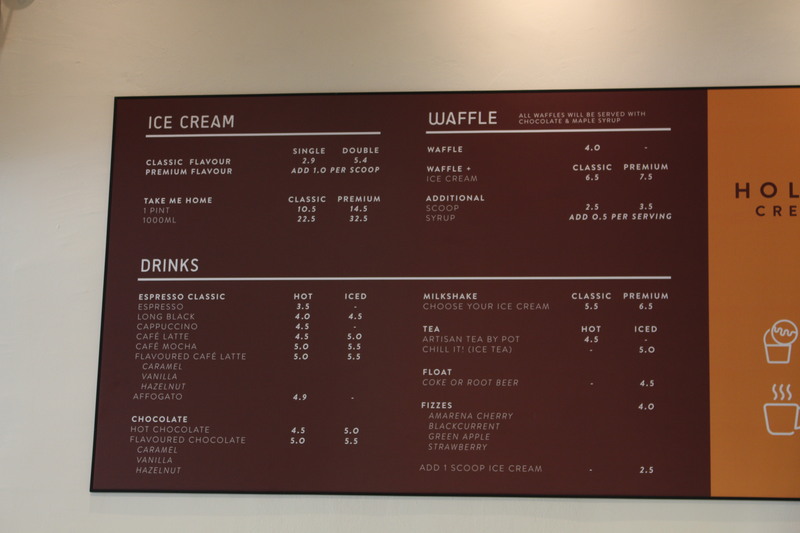 Ice cream is their specialty here, but they also sell waffles and drinks. 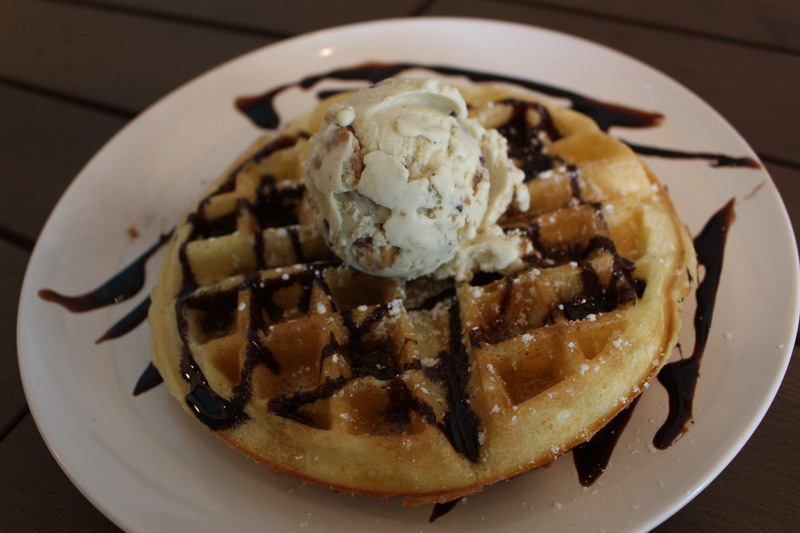 The Waffles with Elvis ice cream ($7.50) is a nice combination to have. The waffles is crisp, not too soft and tasted not bad. The Elvis ice cream has a very rich taste of banana and peanut butter. Now that there are more cafes opening in the newer estates, people who live around the area will be able to visit them. If you are around the Yishun area, you can now enjoy a ice cream parlour right at your neighbourhood without having to travel far!